The Buffalo Bills are in the midst of fixing their roster yet again. Before the Buffalo Bills signed veteran safety Colt Anderson on Friday, the team had a total of 24 unrestricted free agents on their roster. In addition, Buffalo has 9 restricted free agents and three exclusive restricted free agents. Most of those free agents most likely won’t be back next season. Players like Reggie Bush, E.J. Manuel, Percy Harvin, Jordan Mills and Dri Archer are included in that list. Other players will be treated as top priority to bring back, like Mike Gillislee, Zach Brown, Jerome Felton and Lorenzo Alexander. There’s also the possibility of them agreeing with Tyrod Taylor, Stephon Gilmore, Justin Hunter, Robert Woods and Corey White. No matter who comes back, the Buffalo Bills will have a lot of spots to fill in free agency and the draft. Without question, this offseason will not only be key to keeping the Bills in playoff contention next season, but also be vital in setting the team up for years to come. Want your voice heard? Join the BuffaLowDown team! With that being said, Bills’ fans are going to have to put a lot of trust in Terry Pegula, Doug Whaley and the new coaching staff to hopefully put an end to this lengthy playoff drought. Let’s put all that aside for a second and have a little fun with our imagination. Let’s look at some former Buffalo Bills‘ players that would’ve helped right about now. I am going to pick 5 players that would fill some of the Bills’ major needs this offseason. For the sake of this article, I will pick one player from each of these positions: safety, wide receiver, offensive tackle, defensive end and cornerback. I am going to stick with Tyrod Taylor at quarterback and assume the Bills let go of Stephon Gilmore. Let’s get started with the offensive players I would bring back in time. The first position we are going to upgrade is the wide receiver position. The Buffalo Bills currently only have a few wide receivers on the roster with Percy Harvin, Justin Hunter, Robert Woods, Marquise Goodwin, Dezmin Lewis and Brandon Tate all free agents this offseason. Of course, none of them saw much time on the field anyways, so the Bills were due for an upgrade either way. Sammy Watkins is always hurt and the only other two wide receivers on the Bills’ roster are Marcus Easley (out all year), Kolby Listenbee (out all year) and Walter Powell (only played 9 games). Now, there are a number of former Bills’ wide receivers I would bring back. There’s the obvious in Andre Reed or Eric Moulds. There’s also Peerless Price, Stevie Johnson and Josh Reed to consider. Above all the rest, there’s one guy I would like to see come back more than anyone — Lee Evans. Lee Evans joined the Buffalo Bills in 2004 as the team’s 13th draft pick in the first round. One of the main reasons I would choose him to come back is because he never got the chance he deserved in the NFL — and never got the credit he deserved for what he was ultimately able to do. Andre Reed had Jim Kelly, Eric Moulds had a number of talented quarterbacks and in my opinion, Price, Johnson and Josh Reed were never destined to be superstar-caliber receivers. I do believe Evans was, though, and would’ve if he had a better quarterback. In his 7-year tenure with the Bills, he had J.P. Losman, Trent Edwards and Ryan Fitzpatrick throwing him the ball. If Evans had Tyrod Taylor throwing him the ball — or whoever will be throwing him the ball next season — I’m almost positive he would produce better than any other receiver in Bills’ history. Not only does Lee Evans rank third in Bills’ history in receiving yards with nearly 6,000 yards in his 7-year stay, but also third in touchdowns. In both statistics, he sits behind Andre Reed and Eric Moulds. Compared to those two, Evans had a higher yards per reception average (15.7) and less fumbles. If Evans finished his Bills’ career with the same amount of receptions as Andre Reed (with Evans’ 15.7 yards per reception), then Evans would’ve finished with nearly 1,700 yards more than Reed. In addition, with his 43 touchdowns, Evans averaged a touchdown ever 8.7 catches. Andre Reed averaged a touchdown ever 10.9 catches. I would love to see what Tyrod Taylor could do with Lee Evans, especially with Sammy Watkins out there as well. Oh boy, this offense would be scary. Plus, in his 7 years in Buffalo, Evans only missed 3 games and they all came in his final season with the team. Very reliable. Moving on to offensive tackle. This name might surprise a lot of you and some of you probably have no idea who he is. Joe Devlin is often regarded as one of the most underrated and under-appreciated Buffalo Bills‘ players in franchise history. Devlin ended up missing the 1983 season, but for the other 13 years he was as dependable as they come. He would finish his career with 191 games played — all with Buffalo — and 179 of those were starts. There were only 2 seasons that he didn’t play a full season. Joe Devlin was the team’s right tackle and mostly protected Joe Ferguson and Jim Kelly during his tenure. He would help the team to the playoffs four times — 1980, 1981, 1988 and 1999 — but would retire the year before the Bills’ first trip to the Super Bowl. Devlin also helped a handful of running backs reach the 1,000-yard mark, including Terry Miller in 1978, Joe Cribbs in 1980 and 1981, Greg Bell in 1984 and Thurman Thomas in 1989. After seeing Jordan Mills the past few years at right tackle, I’m convinced that he’s not starter material and even more convinced that he will not return to the team next season. In addition, Cyrus Kouandjio just had hip surgery and will miss some valuable time this offseason with a new coaching staff. With that being said, the Buffalo Bills will be looking to upgrade their right tackle. What they need is a player like Joe Devlin — reliable, good pass-block, good run-block, smart. Not only was he a bright spot in some of the franchise’s worst seasons, he was highly regarded by all of his teammates. Take it from Hall of Famer Joe DeLamielleure, who played with Devlin from 1976-1979 and then again in 1985. Joe DeLamielleure was inducted into the Hall of Fame in 2003. If the Buffalo Bills can find a new right tackle — or even a left tackle and move Cordy Glenn to the right side — the offensive line would be dominant all the way through. Not only would that open up our passing game, but it would make the Bills’ run game that much scarier. Let’s move on the defensive side of the ball, where our first need is a talented safety. Here’s who I would bring back in time. 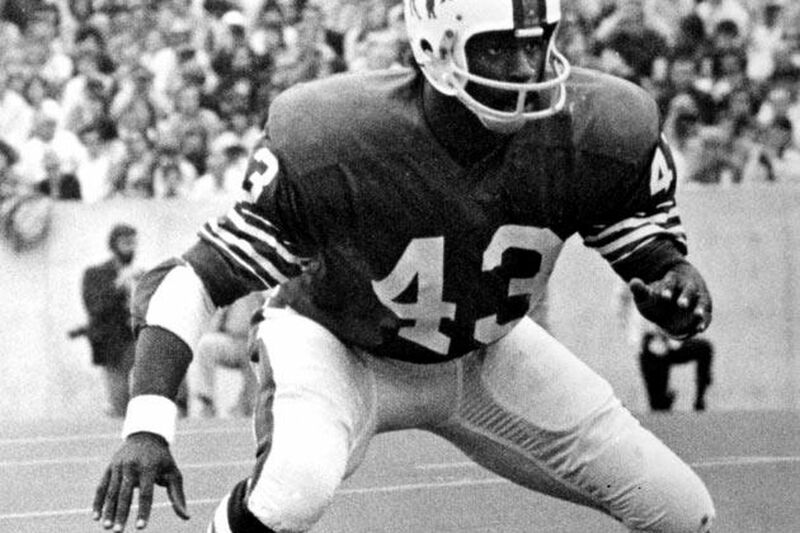 Tony Greene went undrafted in the 1971 NFL Draft, but was highly sought after once he was a free agent. Although he had several choices, he ultimately decided to sign with the Buffalo Bills because he was certain it would give him the best opportunity at a career in the NFL. And, boy, what a career he would have. At the end of the 1970 season, the Buffalo Bills parted ways with CB Butch Byrd — who was the franchise’s all-time leader in interceptions, interception yards and interceptions returned for a touchdown. He spent seven years with the Bills and when he left, the team lost their greatest defensive back in history. Luckily, the 1971 NFL Draft came along and Tony Greene would go undrafted, later signing with the Bills. Little did Buffalo know, Tony Greene would spend the next nine seasons with the team and would come just 3 interceptions short of Byrd’s all-time record. Not only did Greene show up at the right time, he stayed in Buffalo and flourished. In his 128 games with the Buffalo Bills, Greene finished with a total of 37 interceptions, 628 interception return yards, 2 pick-6’s, 13 fumble recoveries, one safety and he also holds the franchise record for longest interception return for a touchdown (101 yards). If we could find a safety like Tony Greene, our defense would instantly get stronger. With this position being one of the biggest needs for Buffalo this offseason, it’ll be extremely important that they pay close attention to detail when selecting a safety. It hurts even more that Corey Graham is getting older, Aaron Williams has injury problems and everyone behind them is either injured or just simply a depth player at best. Moving on, I wasn’t going to select any of the obvious names — like Andre Reed, Jim Kelly, yada yada — but when I had to think of one defensive lineman that I would want to bring back, I couldn’t help myself. Next up is a defensive end that would immediately put the Bills in the playoffs. With the Buffalo Bills switching back to a 4-3 defense this season, the Buffalo Bills will need to re-evaluate their defensive line this offseason. With Corbin Bryant, Leger Douzable and DeAndre Coleman all free agents, the Bills aren’t left with a lot of depth at the position. Currently, the Bills have an unreliable Marcell Dareus, aging Kyle Williams and developing Adolphus Washington at defensive tackle. At defensive end, they only have Shaq Lawson and Jerel Worthy. Imagine if we could bring back Bruce Smith to work opposite of Lawson, adding Dareus and Washington in the middle. Oh boy. Kyle Williams is the perfect backup and signing Leger Douzable would be a smart move for depth. 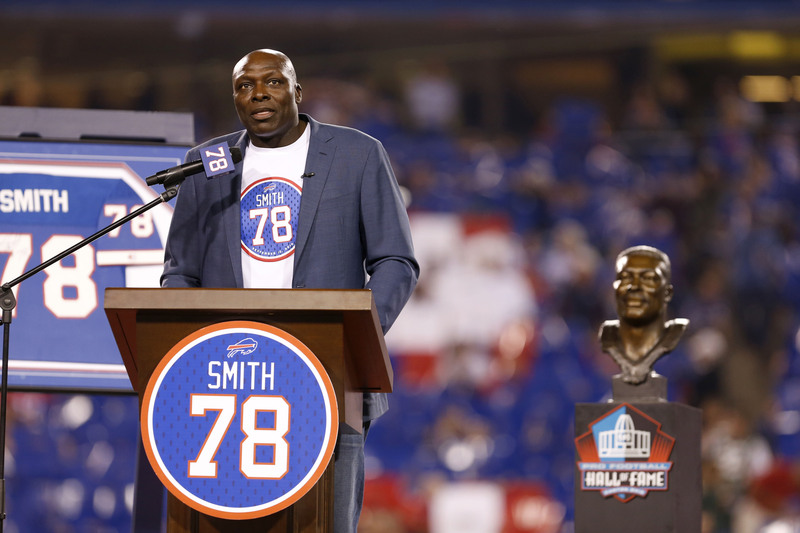 Bruce Smith, who doesn’t really need an introduction, is not only one of the best draft decisions in NFL history, but also just simply one of the most dominant defenders the league has ever seen. 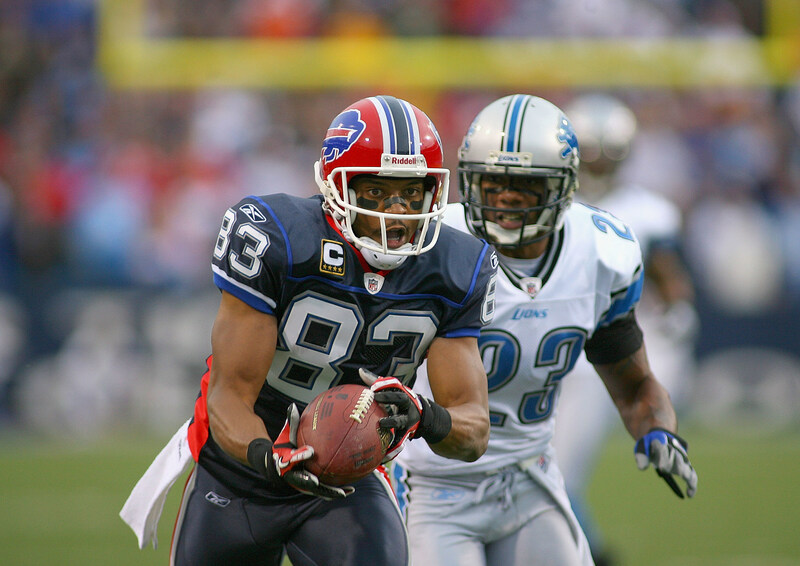 In his 15-year career with the Buffalo Bills, Smith proved that the team was simply better with him on the field. He was as reliable as they come, only missing four games from 1992-1998. He did miss 11 games in 1991 and then had two consecutive 12-game seasons in 1987 and 1988. He did have 8 full seasons, though. He would only miss the 10-sack mark three times in his career — his rookie season in 1985 (6.5), 1991 when he played 5 games (1.5) and his final season with the Bills in 1999 (7.0). His highest sack total in a single season came in 1990 when he finished with 19 sacks. Over time, he would accumulate 171 sacks in Buffalo and with 29 more coming in Washington from 2000-2003, Smith would go on to break the NFL all-time record in career sacks. 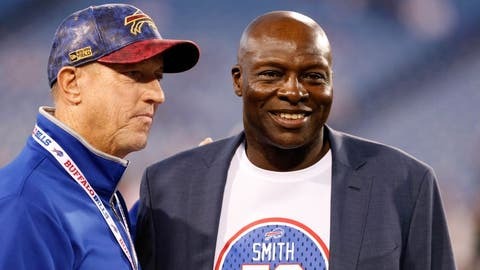 11 Pro Bowls, 9 First Team All-Pros, 3 NFL Defensive Player of the Year awards, NFL 1980’s All-Decade Team, NFL 1990’s All-Decade Team, retired jersey, I mean who wouldn’t want to bring Bruce Smith back in time? The point is, the Buffalo Bills need to find a pass rusher like Smith. His relentlessness and pure talent were unmatched by anyone else when he stepped foot on the field. He was a player that teams had to account for each and every play. His strength matched with his quickness were too much to handle for any offensive lineman. The Buffalo Bills can definitely find some talent near rounds 3 or 4 — or even beyond that — at the defensive end position, as well as the defensive tackle position. Lastly, we have the cornerback position to upgrade — assuming they don’t retain Stephon Gilmore next season. Who would I bring back in time to help us? I mentioned Butch Byrd earlier when I named Tony Greene the second greatest defensive back in franchise history. Of course, Byrd is first on that list for me and his franchise record for interceptions is a big reason why. Butch Byrd was a member of the Buffalo Bills while the team was in the AFL (1964-1970) and wouldn’t make the move with the team to the NFL. Instead, he would sign with the Denver Broncos. Byrd exploded onto the scene after being drafted by the Buffalo Bills in 1964 with a fourth-round draft pick. He would immediately earn a starting role at cornerback and finish his rookie season with 7 interceptions and one interception returned for a touchdown. Over the next five seasons, he wouldn’t dip below the 5-interception mark. In his first two seasons with the team, the Buffalo Bills would go on to win back-to-back AFL Championships, also earning Pro Bowl honors in those two years. In total, Butch Byrd would accumulate 40 interceptions in his 7 years with the Bills, which is good enough to put him at the top of the franchise’s all-time interceptions leader. He also holds the all-time records for interception return yards (666) and interception return touchdowns (5). In addition to spectacular cornerback play, Byrd was a good punt returner and even returned one for a touchdown in his rookie season. He was a playmaker all over the field. With Stephon Gilmore set to become a free agent this offseason — and a good chance at not playing for Buffalo next year — the need for a cornerback seems to be growing. The NFL Draft is packed with talent at this position and the Bills are sure to draft a young cornerback at some point. Let Butch Byrd be a reminder that even some of the best players fall to the 4th round — or even later. We now give you the mic. Which former Buffalo Bills‘ players would you bring back at these 5 positions? Leave your comments below!